Australian Shepherd health issues is a relatively long list of genetic or inherited conditions that have been identified in these dogs. Often when you come across a long list of problems, the first thing that people do is shy away from the breed. The good news, however, is that the United States Australian Shepherd Association (USASA), which is the parent club of the AKC has worked very hard to identify potential problems and provide solutions for conscientious breeders to prevent disease. 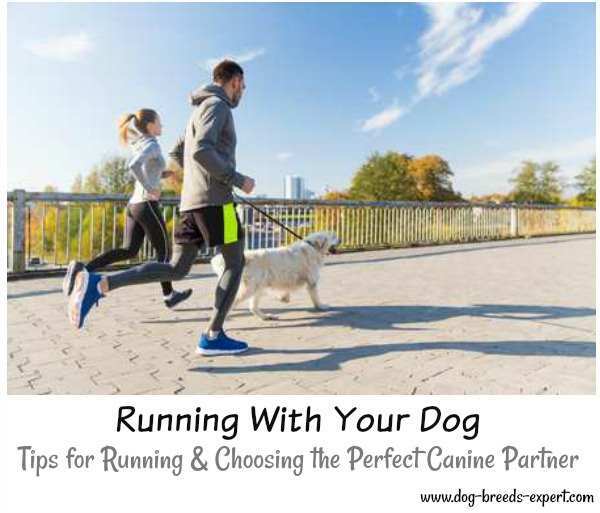 In my opinion, it is much better to know you are getting a dog that has been screened for known problems than to choose a breed because you are told that they are extremely healthy. The Australian Shepherd Health and Genetics Institute, Inc., ASHGI conducted a survey in 2009-2010 to learn what genetic problems are most often reported in this breed. These problems are not limited to Aussie, but rather occur in other breeds as well. Thyroid disease is the most common autoimmune disease. Low thyroid or hypothyroidism is a condition where the thyroid gland doesn't produce the correct amount of hormones, so the dog's metabolism is not maintained. Allergies are not fatal but can create misery for the dog and veterinary expense for the owner. They can be respiratory, digestive, but the most common are persistent itching that can lead to secondary bacterial infections. While not a problem for the individual pet dog, any dental abnormalities such as missing teeth or bad bites can be a conformation problem in show dogs. The failure of the umbilicus to close completely after birth resulting in a swelling where the umbilical cord was attached. Most umbilical hernias are repaired successfully at the time when the dog is spayed or neutered. Most pose no threat to the dog's health. The most common type of eye problem in the Australian Shepherd. When the lens in one or both eyes becomes cloudy, it leads to impaired vision and blindness. One of the two most common forms of cancer reported in the Aussie. Another malignancy that can occur is lymphoma. Epilepsy is a seizure disorder that can be caused by a variety of things such as injury, infections, toxic exposure, and genetics. A condition where the testicles fail to descend into the scrotum.This is a problem if the dog was meant to be used in a breeding program. The most common dental problems in dogs are undershot or overshot bites. Aussies can also have what is called Wry, where one side of the jaw grows longer than the other side. Dogs can get Demodectic mange if they have an immune reaction to the Demodex Canis mite, a common and ordinary resident of the hair follicles on dogs. The Generalized demodectic mange is chronic, and the problem is inherited. Ear infections are common and most likely related to some form of allergyExcess white markings. Another form of cancer reported in this breed, Lymphomas can occur in the lymph nodes, spleen, liver, and other organs. 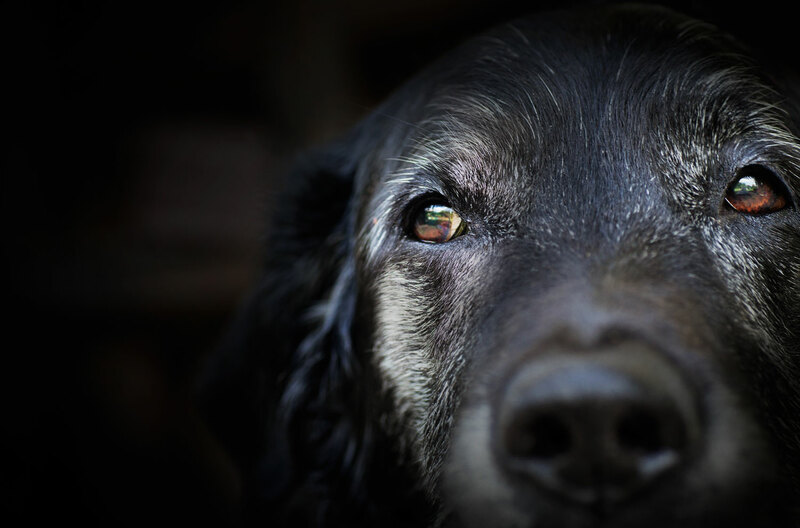 It usually occurs in middle age to older dogs and can be treated with chemotherapy. This disorder occurs when the nerves that control the structures of the voice box or larynx do not function properly. This leads to difficulty eating and breathing and voice changes. This occurs when a section of the iris fails to develop and almost always seen in Merle colored Aussies. The affected eye cannot dilate or contract properly causing discomfort in bright light. It is present at birth. The pupillary membrane is a fetal structure that covers the eye before birth. When parts of it do not go away, it is called PPM. 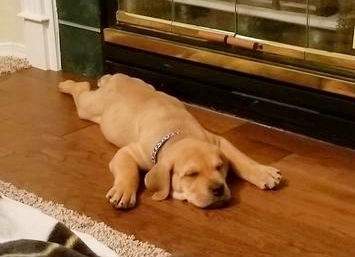 Patent Ductus Arteriosus occurs when the fetal ductus arteriosus fails to close when the puppy is born resulting in an abnormal flow of blood between the aorta and pulmonary artery. In the normal fetus, these two arteries are connected by the ductus arteriosus blood vessel. If it remains open (patent) it puts pressure on the heart and can lead to death. Much more common in small breed dogs, patellar luxation, does occur in Aussies. When the kneecap moves in and out of its normal position or dislocates the dog can have an unusual gait. Lameness can occur. In the Aussie, it can be genetic or from a blunt force injury. Some of these problems have tests that can be performed on dogs that are used for breeding. There is screening for Hip Dysplasia and Elbow Dysplasia through the Orthopedic Foundation for Animals (OFA) or PennHip. Eye abnormalities can be detected by an exam performed by a Veterinarian Ophthalmologist Canine Eye Registration Foundation (CERF). MDR1 can be detected through a blood test. 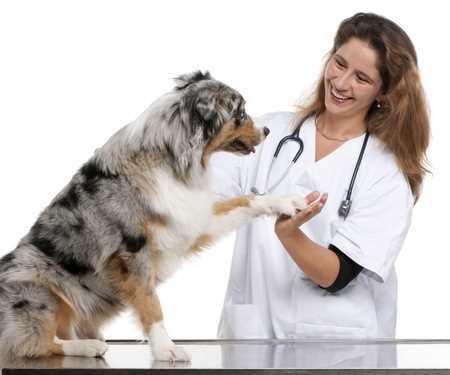 visit the Australian Shepherd Health and Genetics Institute. If you are seriously considering this breed, I would highly recommend this book. Click on the image above to find out more. It is intended for puppies as well as older rescue dogs that are being re-homed. Problem behaviors, basic and advanced training techniques, grooming issues and so much more is included in the book. No Aussie Owner should be without it.